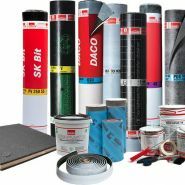 GEORG BÖRNER is influential in the industry and trend-setting in the fields of waterproofing and building preservation. We produce polymer bitumen and bitumen membranes, bituminous coatings and compounds as well as providing necessary information and sell and distribute everything that makes structures "leak proof". At the same time we are constantly working on improvements and developments to always be technically, environmentally and economically more than one step ahead of our customers.